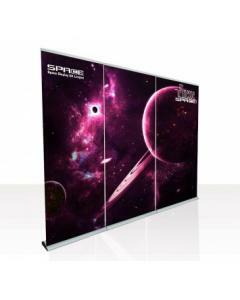 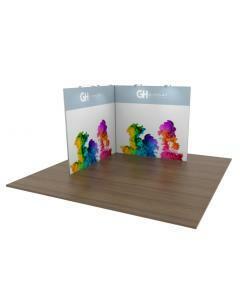 Our 3 x 3 Premium Pop Up Display Stand provides a durable, extremely high quality, lightweight and portable pop up exhibition stand. 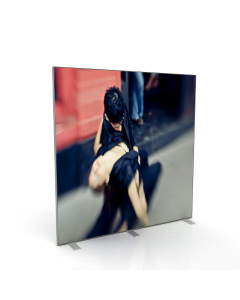 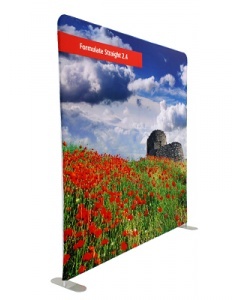 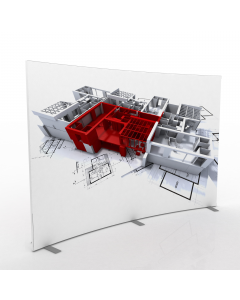 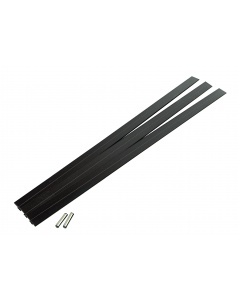 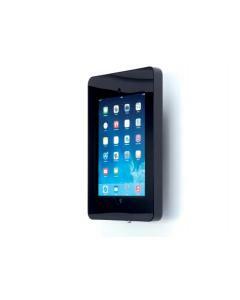 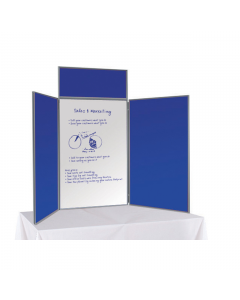 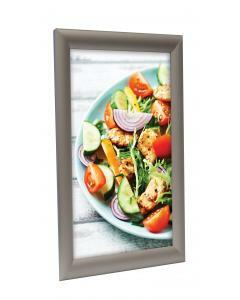 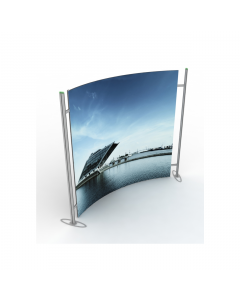 It's the ideal solution for when you need a sturdy and quick to assemble portable display. 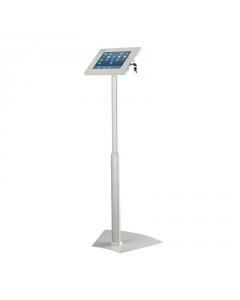 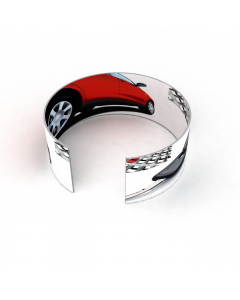 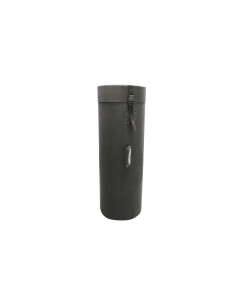 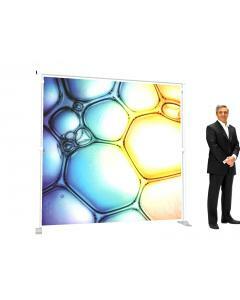 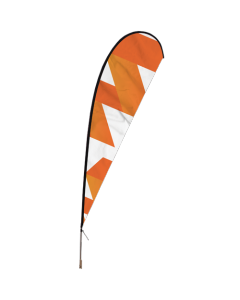 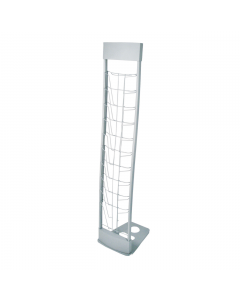 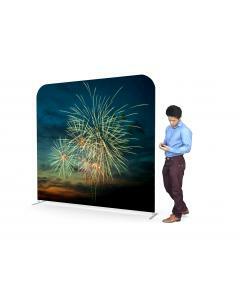 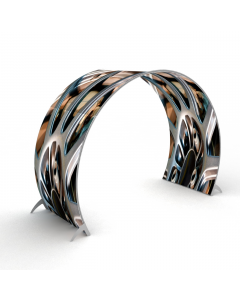 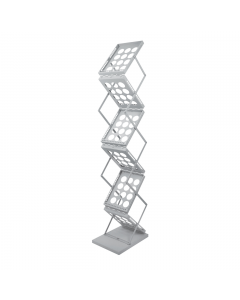 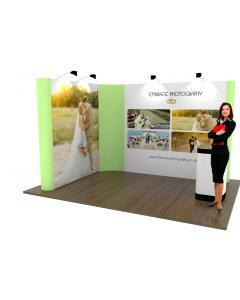 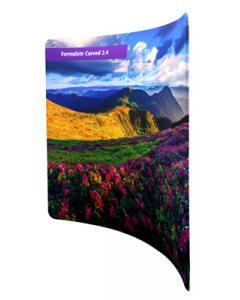 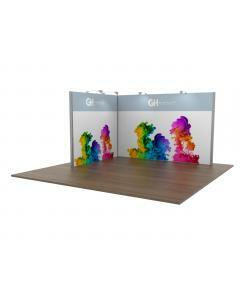 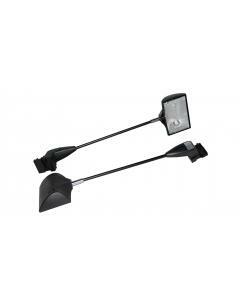 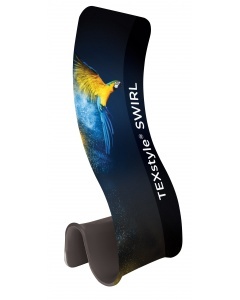 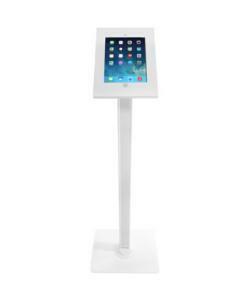 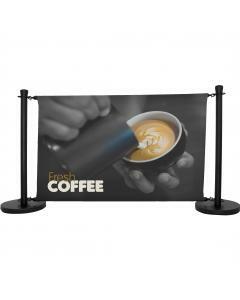 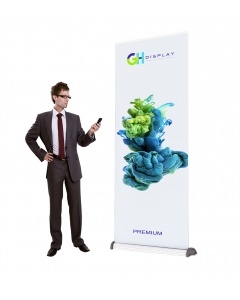 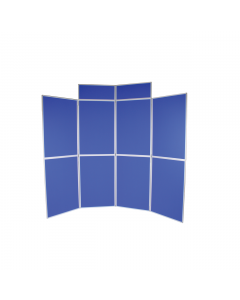 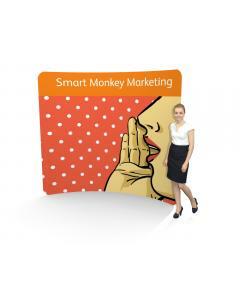 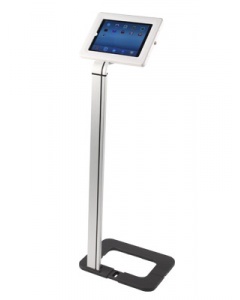 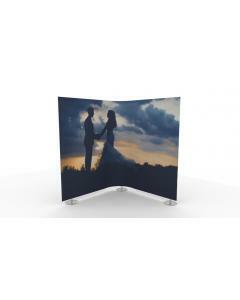 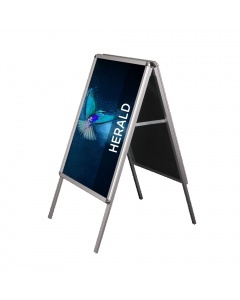 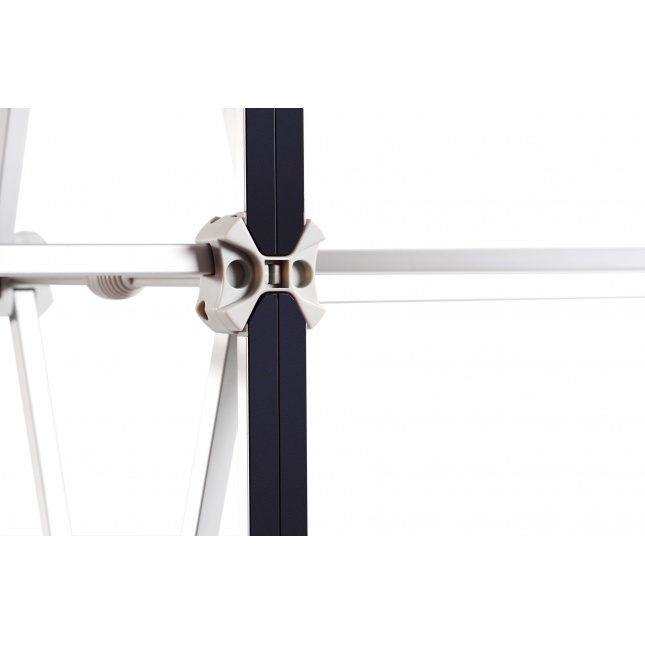 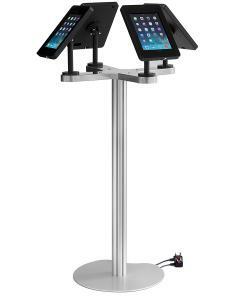 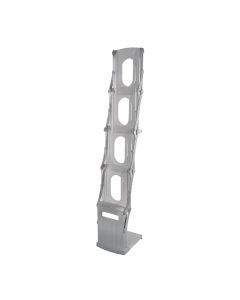 The premium pop up stand is available as a curved or a straight pop up stand. 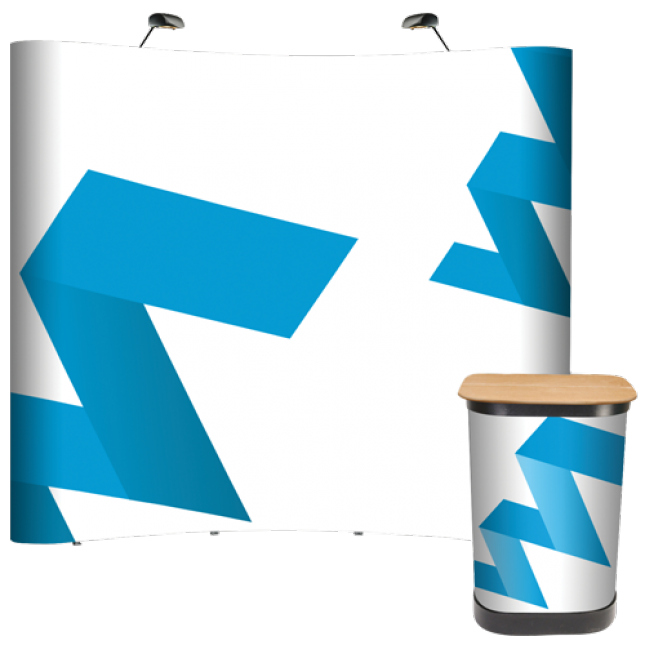 The Premium Pop Up Display Bundle includes: Framework, single sided pop up graphics, 2 x halogen lights (black finish), 1 x hard wheeled Zeus pop up case, 1 counter top (black or teak finish) and a graphic wrap for the counter. 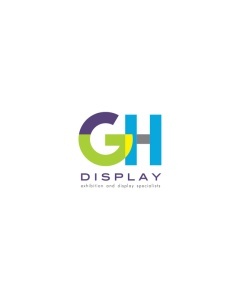 Graphic design service: We have a graphic design service. 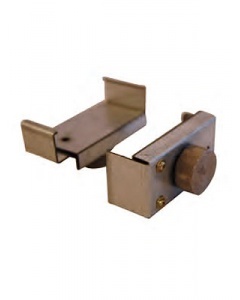 Call on +44 (0)1733 570222 or complete our quotation request form to request a quote. 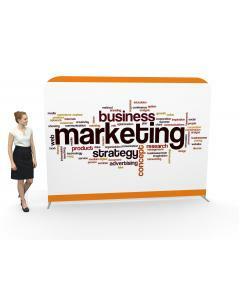 Please note this is a stock image. 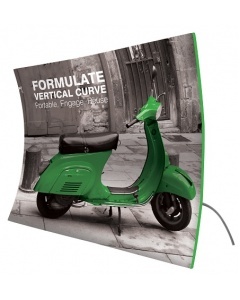 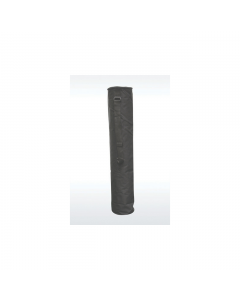 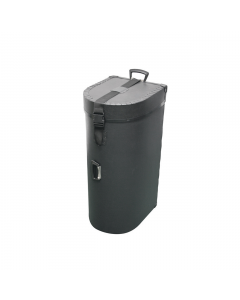 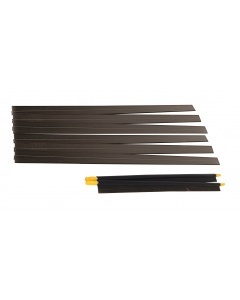 Please check the exact dimensions using the specification tab prior to ordering. 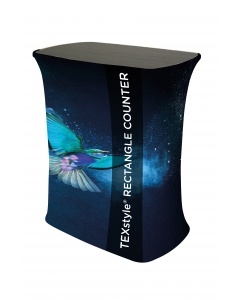 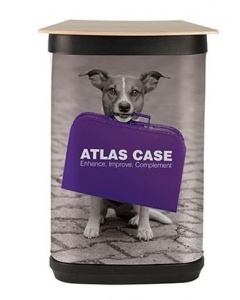 The Premium Pop Up Display Bundle includes: Framework, single sided pop up graphics, 2 x halogen lights (black finish), 1 x hard wheeled Zeus pop up case, 1 counter top (teak or black finish) and a graphic wrap for the counter. 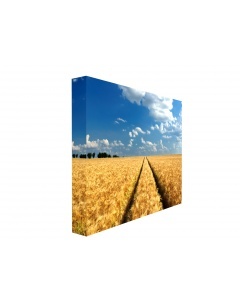 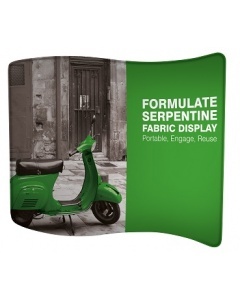 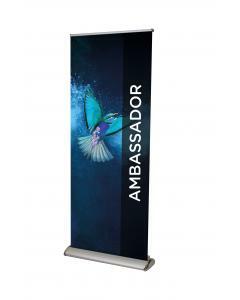 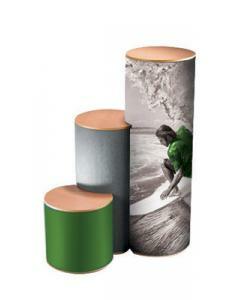 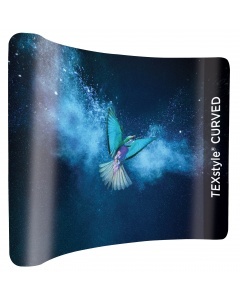 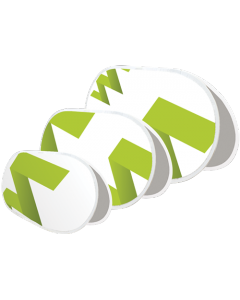 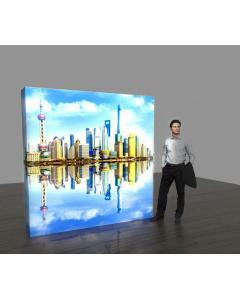 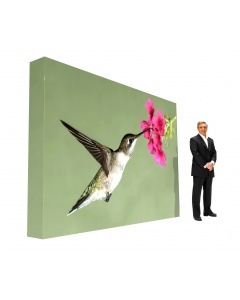 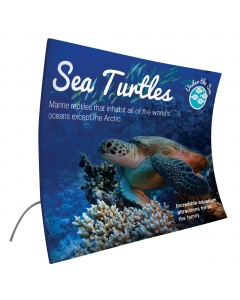 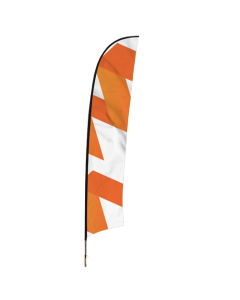 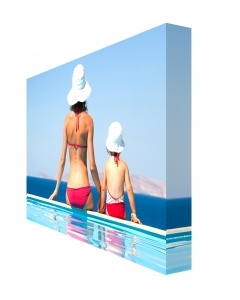 Graphics: Your artwork is printed on 350 micron polyester with a matt finish. 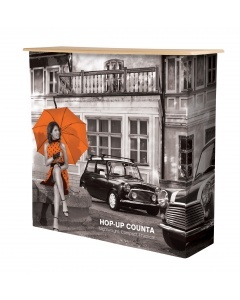 Counter top: Teak or black finish.